We would love to study God’s Word with you! We offer free, one-on-one 5 week Bible studies to anyone. 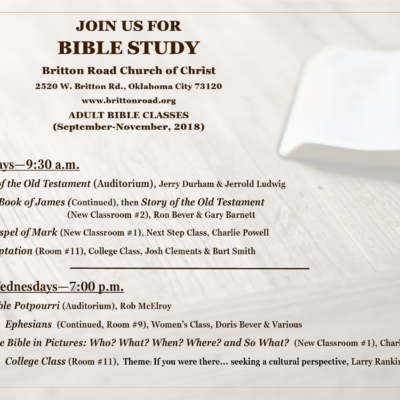 If you are interested in a study, please call us, email us, or come join us on any Sunday morning or Wednesday evening.